Designated specifically for selective elimination operations only when a Fiday can not be sent, they will seek out their target, determine his routine and cleanly carry out their neutralization from a long distance - instilling fear and a sense of impotence in the hearts of those nearby. However, Lasiqs are also the watchmen and observers of the organization. Their objective is to watch and oversee operations, and, if something goes wrong, to intervene with deadly precision. In supporting missions, their function is to secure the viability of an operation and the safe return of the agents involved, clearing their escape routes with precise and lethal firepower. 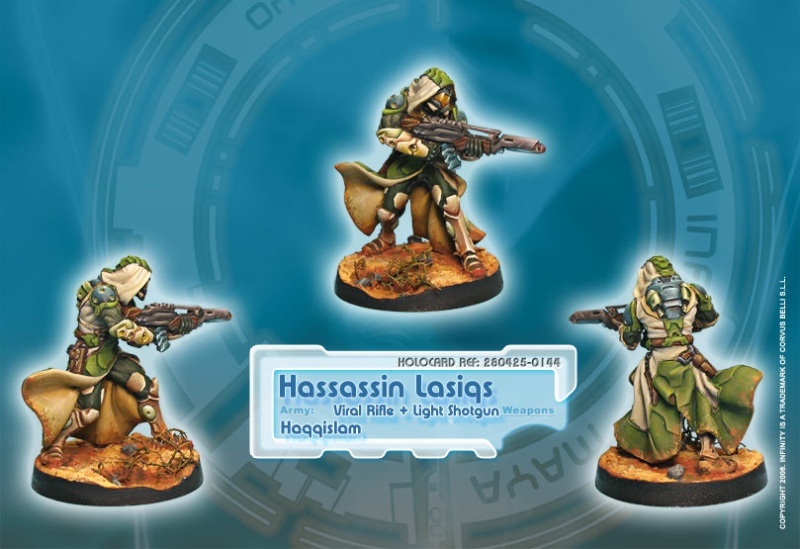 Accustomed to operating in urban areas and facing tactical situations with multiple targets, they have developed a modus operandi which emphasizes mobility over concealment, changing position after firing a few shots and creating an atmosphere of chaos and confusion. 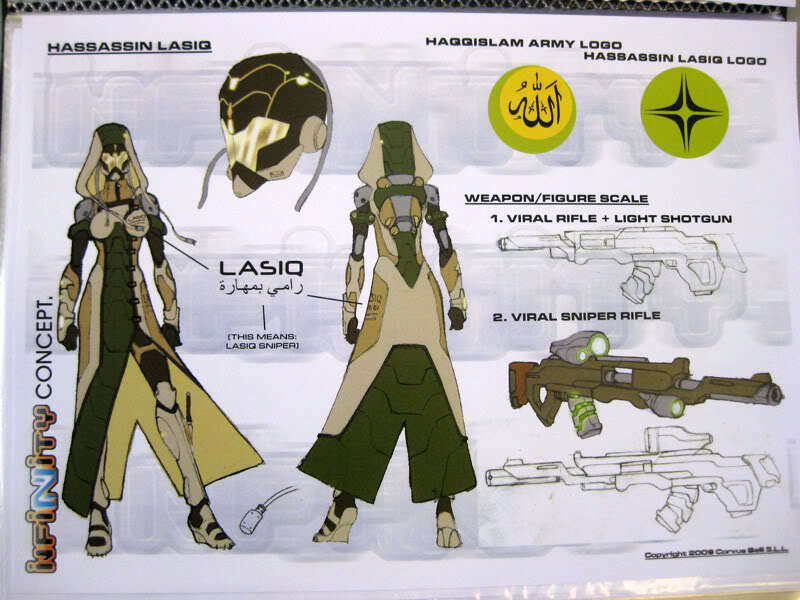 The Lasiqs exemplify the old motto of the elite sniper: “One shot, one death” and they have the necessary armament for it. 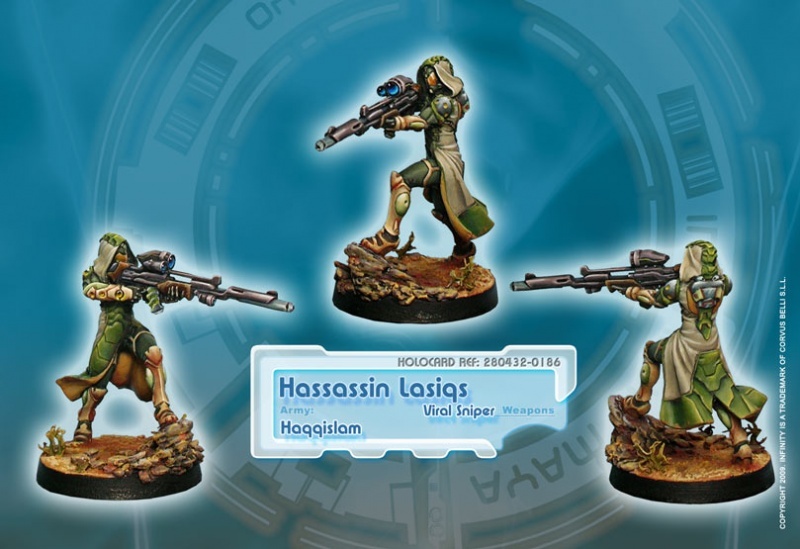 The Hassassin sect has put the whole Haqqislamite bio-medical machine at the service of their sinister purposes. No hit involving a Lasiq merely wounds. They only have one outcome – sudden death. 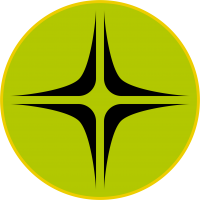 This page was last modified on 17 April 2019, at 09:10.